HAMILTON – Eileen G. Conrad entered into rest quietly in her home on August 26, 2018. She was born 1 of 8 children on January 22, 1934 in San Francisco, CA to Dennis and Beatrice Cashada. Eileen grew up in San Francisco before moving to Ukiah, CA after marrying Skip Conrad on November 17, 1951. They remained together for 62 years until his passing in December of 2013. Eileen worked for Pacific Telephone Company for over 30 years, starting as an operator when she was 16 years old and retiring as a supervisor. After retirement, Skip and Eileen moved to Hamilton in 1987 and resided there until their passing. Eileen is survived by 2 children, Jeffrey Conrad of Corvallis, MT and Corine Corbin of Spokane, WA; and 2 grandchildren, Danielle and Spencer Corbin also of Spokane. 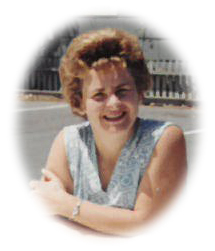 Eileen was a devoted wife, mother, grandmother and sister. She enjoyed camping, fishing, bowling and spending time with family. Eileen was loved by everyone who knew her. No formal services will be held. Condolences may be left for the family at www.dalyleachchapel.com.